What a neat shot! 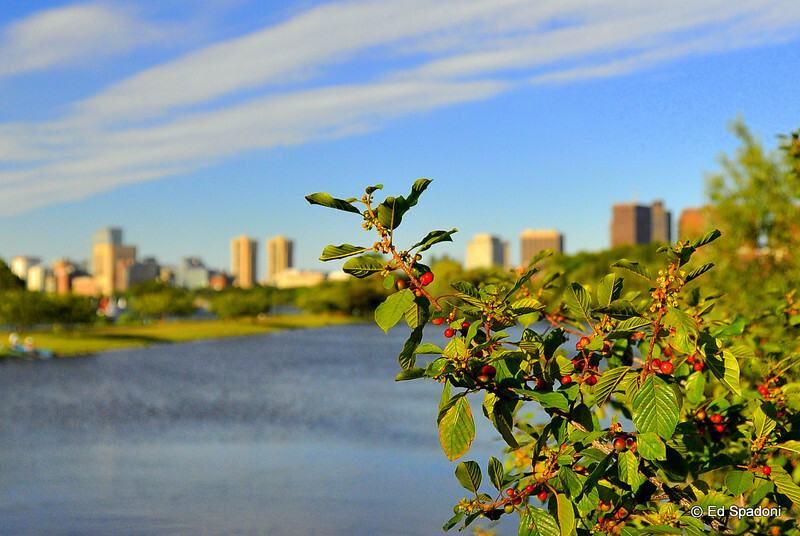 Beautiful red berries and nice view of town on the back. Cool shot - what a gorgeous day and view! Nice combination of the colorful tree and the skyline. Beautiful. I love the contrast of nature in focus and the man made in the distance. Love the lighting. Great shot.